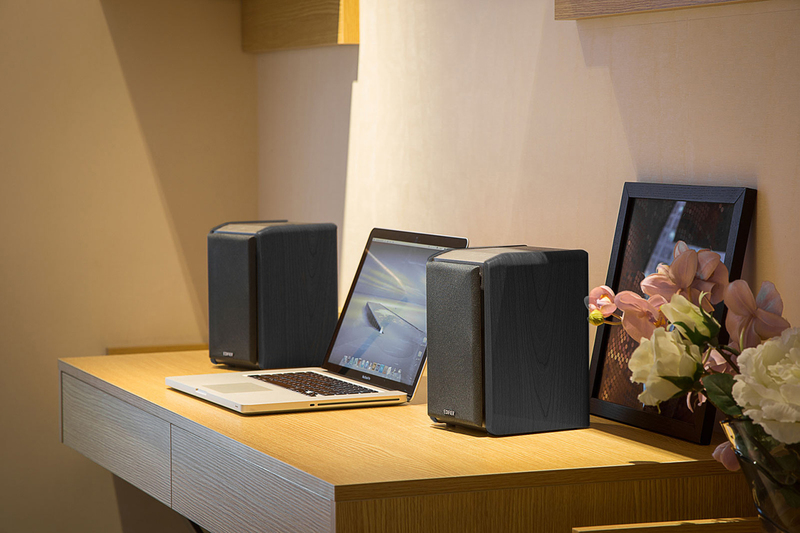 To kick it up a notch, the classic R1010BT Bluetooth speakers re-introduces bookshelf speakers in a whole new way. 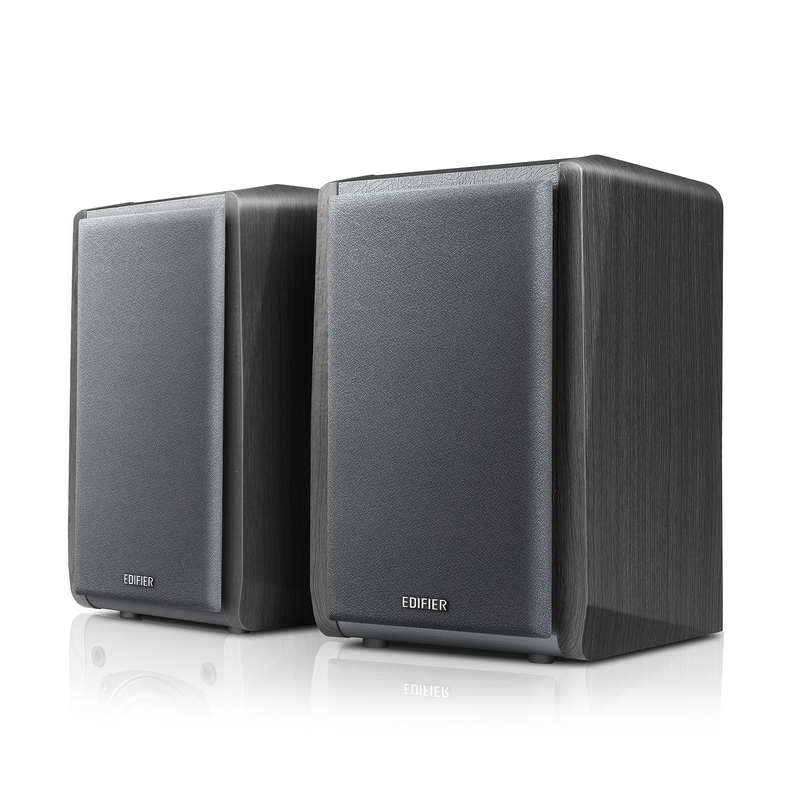 What you get is the high-quality audio performance you’d never expect from such simple a compact design. 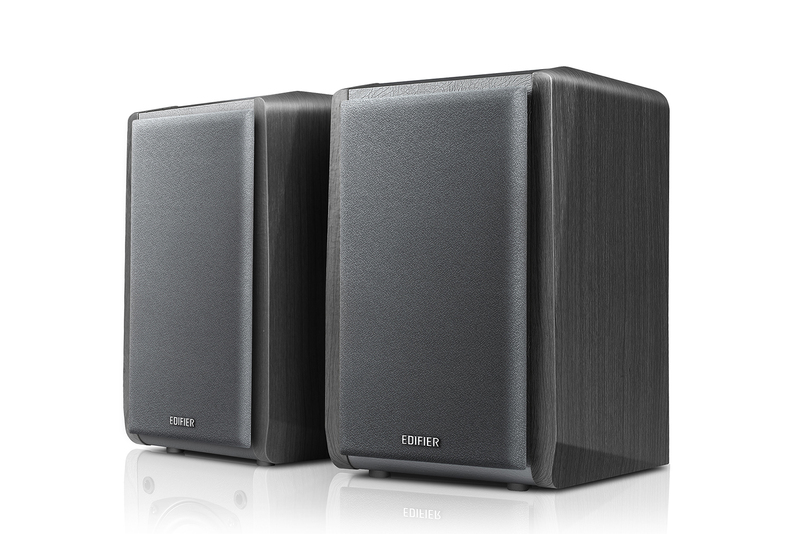 Housed in 100% medium-density fibreboard (MDF), this R1010BT is the revisitation of another Edifier classic, the R1000TCN. 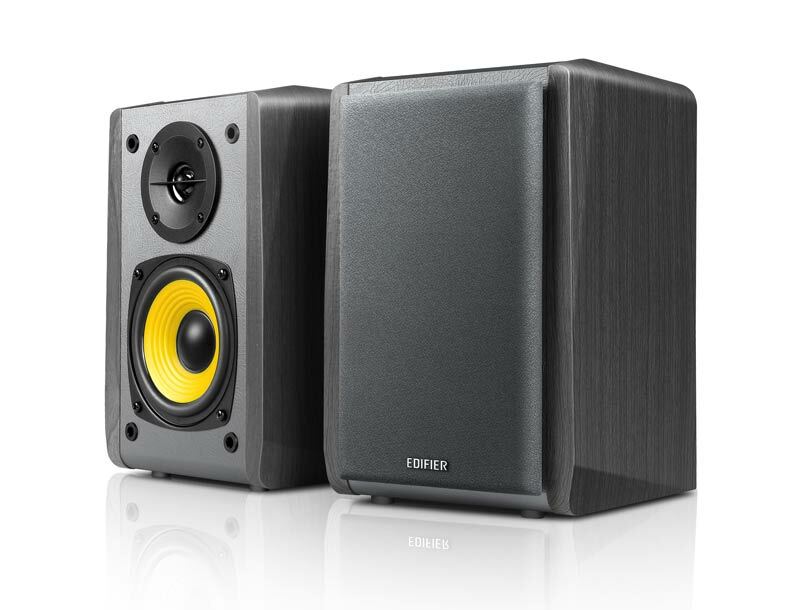 Featuring 4” bass drivers and 3/4” silk-diaphragm tweeter drivers, the R1010BT Bluetooth bookshelf speaker is engineered to deliver commanding sound with subtlety and details. 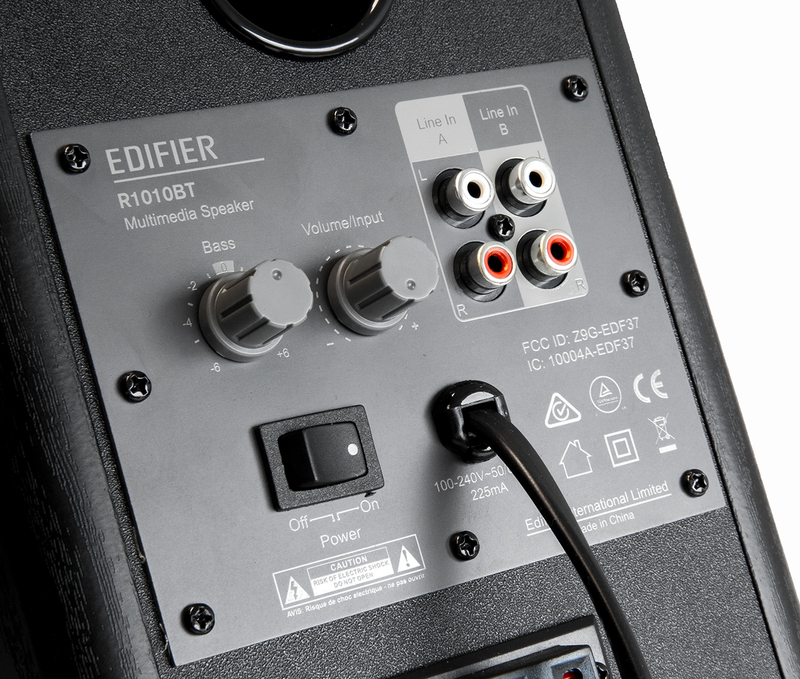 Dual integrated line-in jacks for connection to other analog audio devices, saving you the trouble of plugging in and pulling out. The tone control encompasses bass and volume together with the dynamic treble enhancement on port A which is dedicated to catering to your playback preference. For a personalized listening experience, you’ll find the bass and volume adjustment dials at the back of this bookshelf speaker. 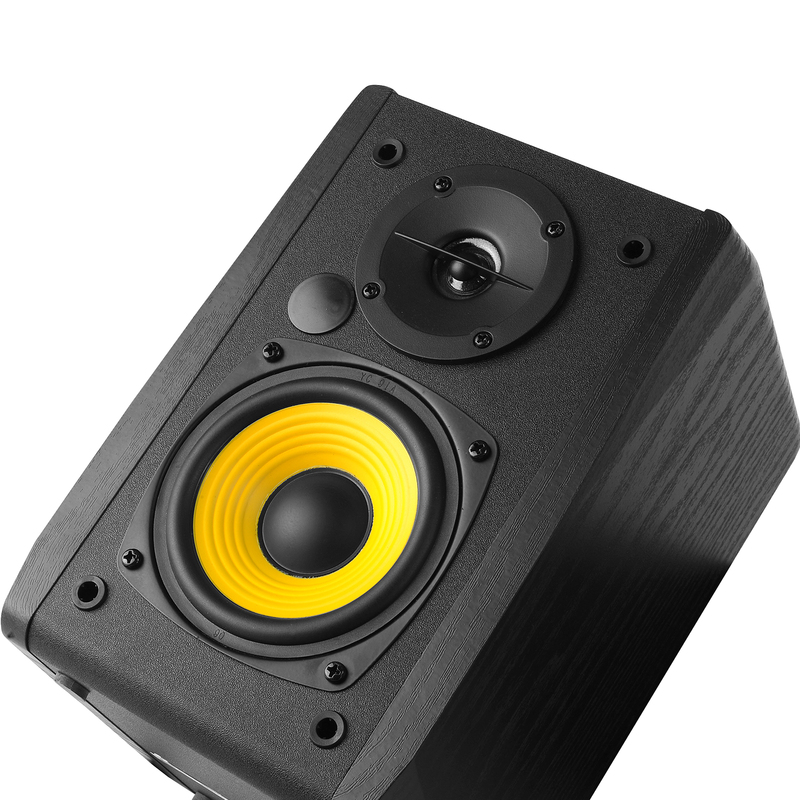 The R1010BT Bluetooth bookshelf speakers also feature dual stereo line-in ports. Most of all, it is Bluetooth ready. 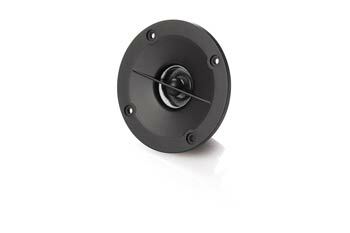 Sleek well-designed dome tweeters for smooth, articulate highs. 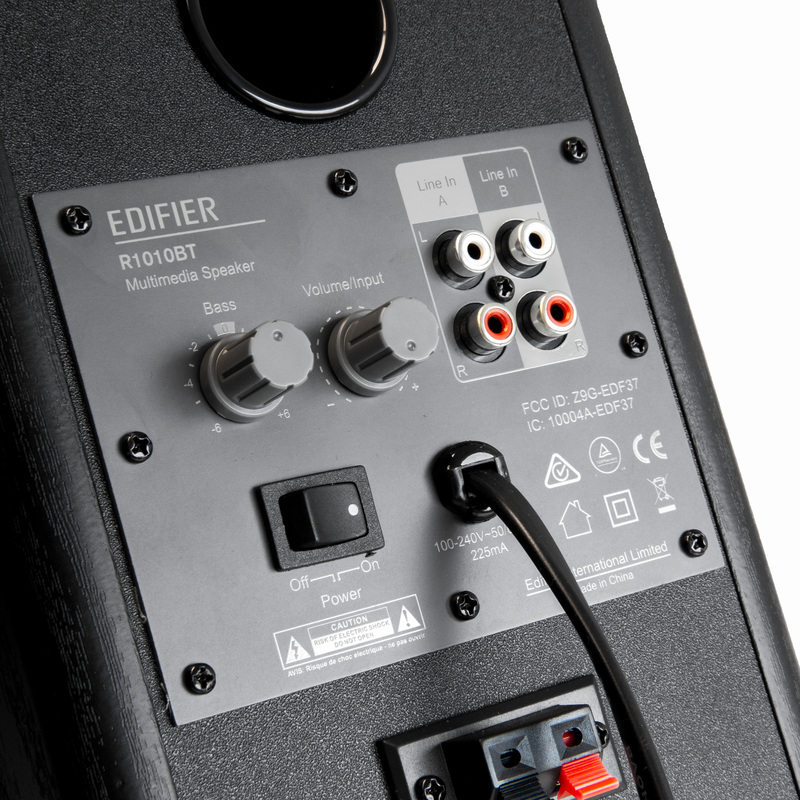 Edifier delivers the experience you deserve. 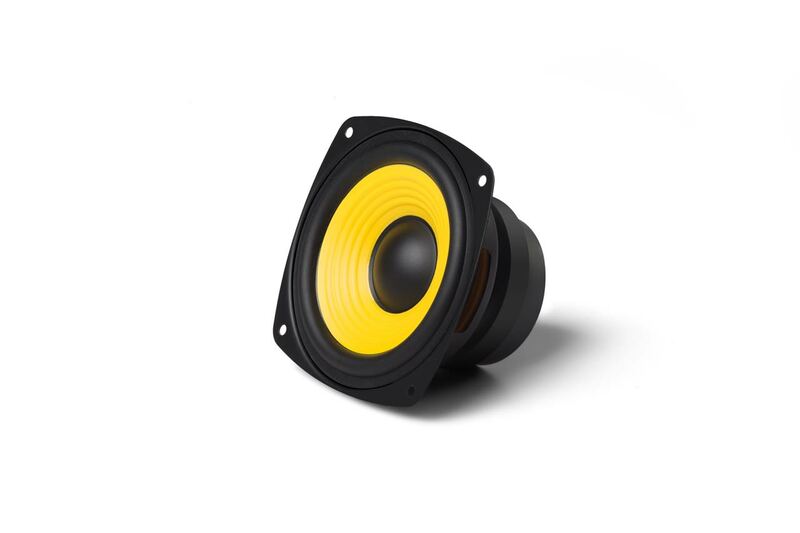 Ceramic-paper cone drivers deliver powerful bass. 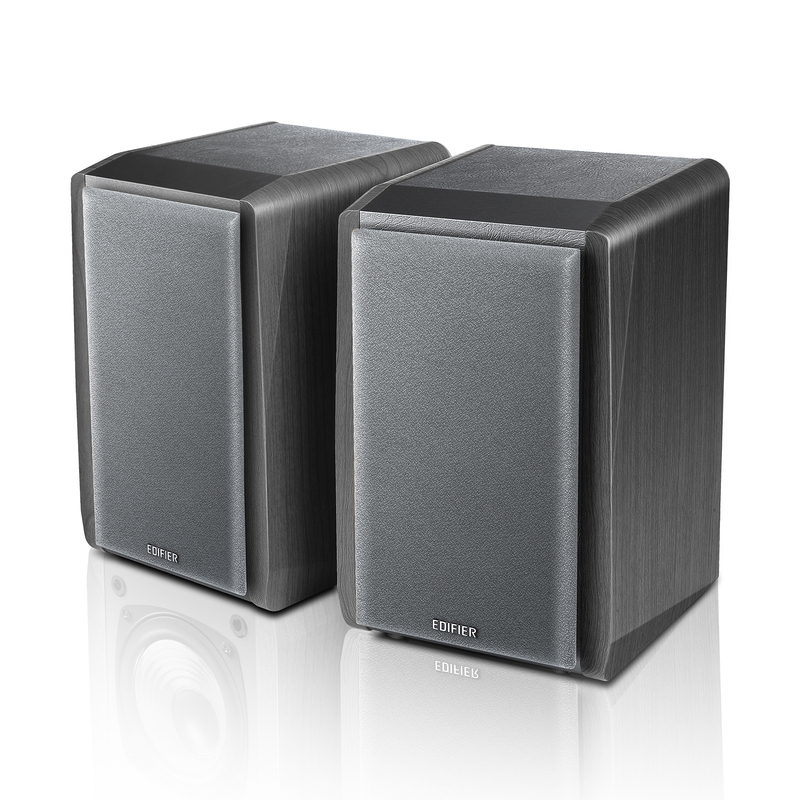 A classic performance driven by Edifier’s leading technological savvy. 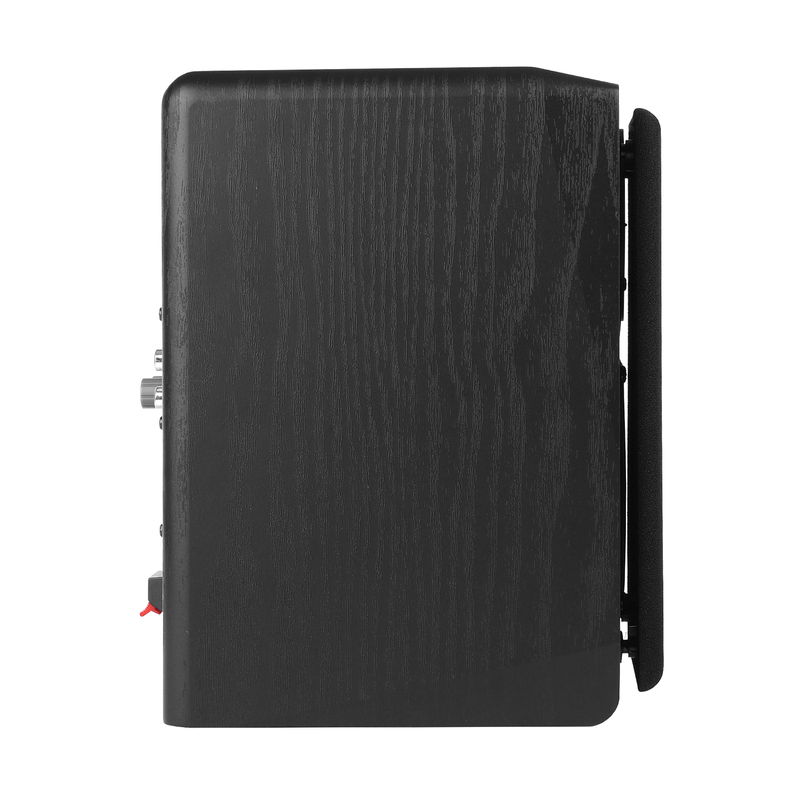 Look sleek in its classic wood grain finish with contrasting silver-coloured panels, the R1010BT makes an elegant addition to any place. 15mm thick MDF (medium-density fibreboard) enclosures that damps out unwanted, extraneous energy and vibration. Appealing rounded edges offer you the softened feel.